Drum roll, please! 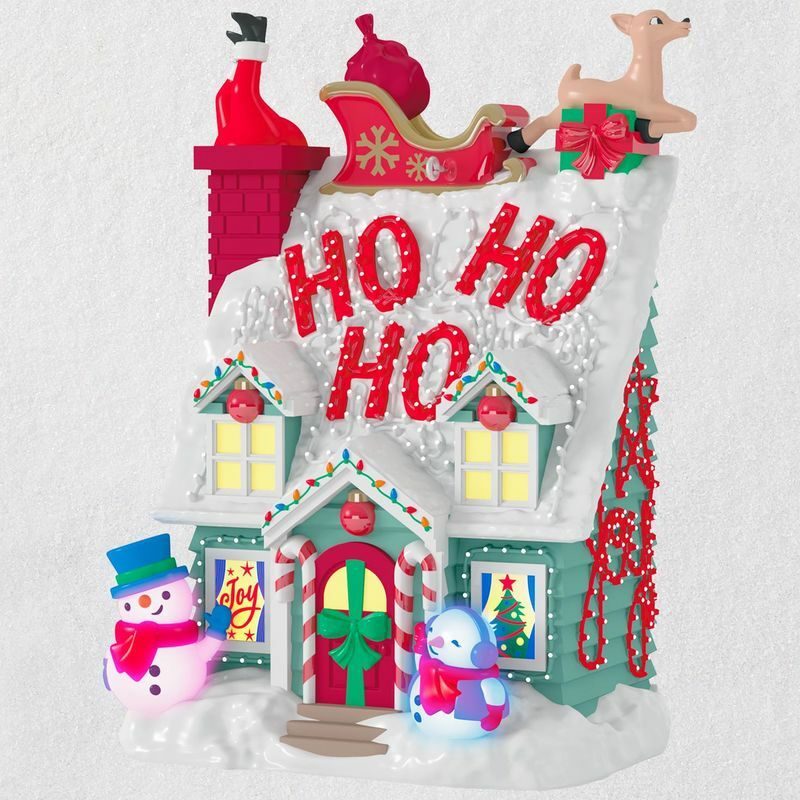 If your family takes pride in being the best decorated house on the street, this playful Christmas tree ornament is just what you need to commemorate the tradition. From "Ho Ho Ho" in lights across the roof to an adorable pair of snowman inflatables on the front lawn, the festive house exterior performs a synchronized light show to music from "Joy to the World" when you press the button. 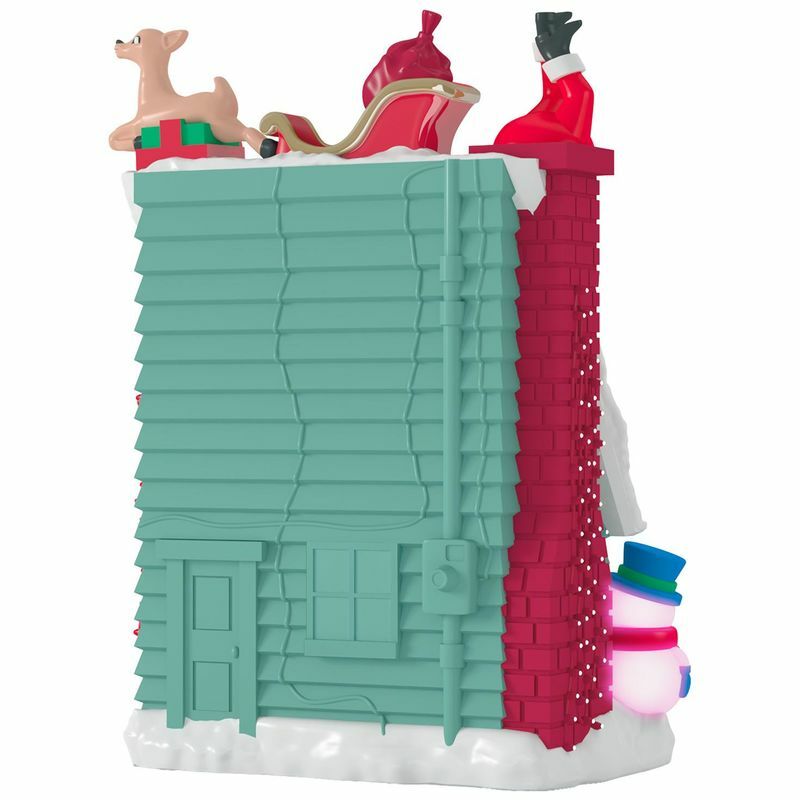 Connect the ornament to Hallmark's Keepsake Power Cord (sold separately) for continuous light. 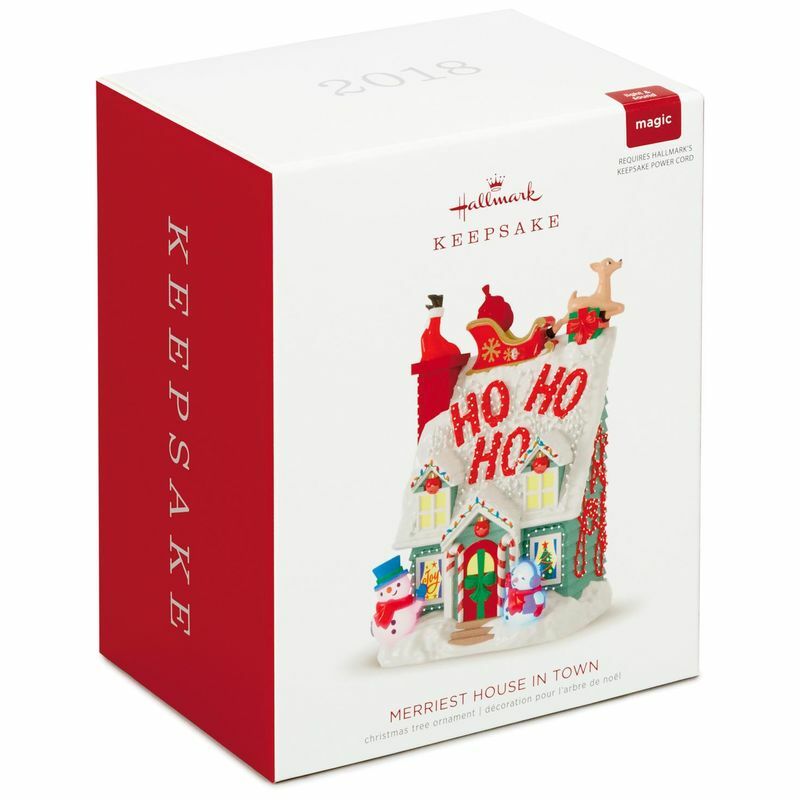 Requires Hallmark's Keepsake Story Teller Cord (sold separately). Magic Sound and Light Christmas tree ornament. Connect this ornament to Hallmark's Keepsake Cord to see the continuous light effect. Press the button to watch a light show synchronized to music from "Joy to the World." Requires Hallmark's Keepsake Power Cord (sold separately). No batteries necessary. Artist crafted by Matt Johnson. Measures 3.15" W x 4.72" H x 2.283" D.